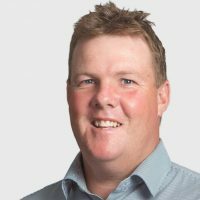 David opened Elders Bega in 2005 and he had previously worked as an agent and owned agencies in Bega, Tathra and Merimbula. He brings a wealth of experience to the table. As a Director and Licensee David focuses on selling and has a track record of getting excellent results for vendors. He has lived in the Bega Valley for over 25 years, and particularly loves the semi-rural lifestyle. When he isn’t at the office David can be found at the Sale yards buying and selling cattle, around the district with his 2 children doing Pony Club or just at home working at his small acreage hobby farm. Dave has sold everything from scrubby bush blocks to seaside mansions, he has a unique understanding of the local market and his experience allows him to bring a historical perspective to the table that cannot be matched. He prides himself on building and maintaining relationships with past and present clients, Dave has an amazing ability to retain information and be able to utilize that information to assist his clients, both vendors and buyers. Dave has won a number of awards over the years under the Elders, First National and Ray White Banners, he regularly finds himself in the top 100 salespeople each month in the Elders National Network. Dave loves the challenge of matching buyers to properties and uses all his experience to help our vendors find the right buyer in all sorts of market conditions. If you’re thinking about renting or selling your property and you’d like a clearer picture of how much your property might be worth or want to have an informal chat about general property market trading conditions, David will be happy to arrange a full market appraisal of your property.